Kiyomizu-dera in Kyoto, Yamashiro Province, No. 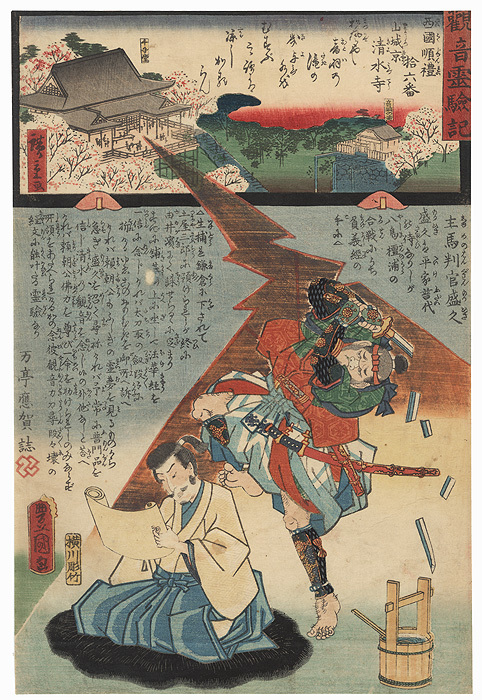 16 of the Saikoku Pilgrimage Route, 1859 - Dramatic image of the samurai Taira no Morihisa reciting a sutra from a scroll while a samurai attempts to attack him from behind, his sword shattering into pieces. A bolt of light from the temple above zigzags across the image, bathing the warrior in a protective yellow glow. 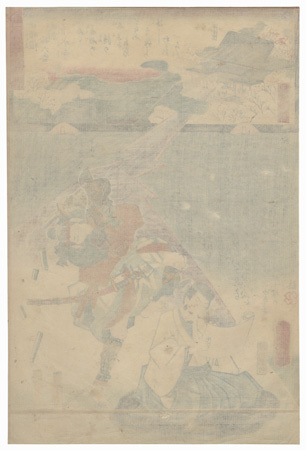 According to legend, Morihisa was captured by the Minamoto and ordered to be executed. 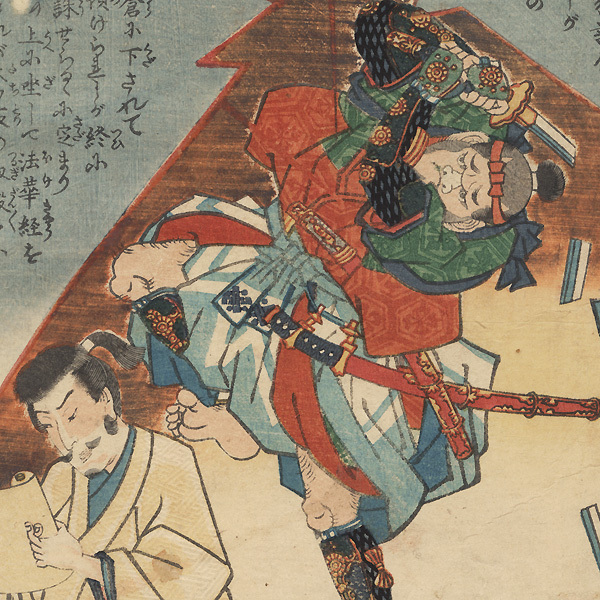 After reciting the Kannon Sutra, the executioner's sword broke and Morihisa was pardoned because of this miracle. The inset above shows the famous Kiyomizu Temple, surrounded by blossoming cherry trees. A dynamic scene with great color and detail, including delicate embossing in the yellow and white kimono. Condition - This print with excellent color and detail as shown. Backed with paper. Small loss, repaired. with backing. Slight toning and soiling, a few creases, stain. Please see photos for details.